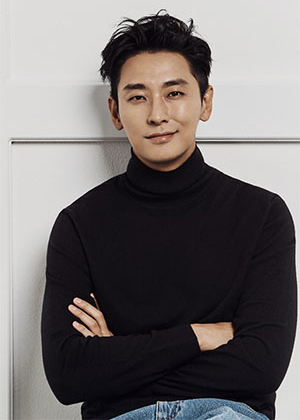 Actor Ju Ji-hoon is enjoying a resurgence in popularity, following three box-office hits last year with two new TV series so far this year. Last year he starred in the three hit films "Along with the Gods: The Last 49 Days," "The Spy Gone North" and "Dark Figure of Crime," and he is currently appearing in "Kingdom," the first Korean drama produced by U.S. video-streaming provider Netflix, and another TV series "Item," which began airing this week. "I think I received so many blessings last year, but that doesn't mean things will be the same this year. Doing the best I can is what I should do," Ju said. 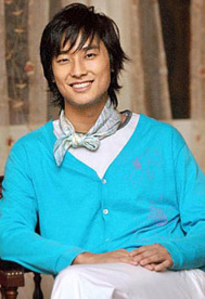 Ju, who debuted as a model and turned to acting in his mid-20s, shot to stardom with his debut role in the 2006 hit TV series "Princess Hours." He has appeared in plenty of dramas and films since then, having some ups and downs in his career, so he is not letting his newfound popularity go to his head. When asked about how he manages his busy work schedule and stress, he said, "It's tough, but I'm doing what I like to do." "I sometimes feel pressure, but I will do my best, as I want to keep acting," he added.